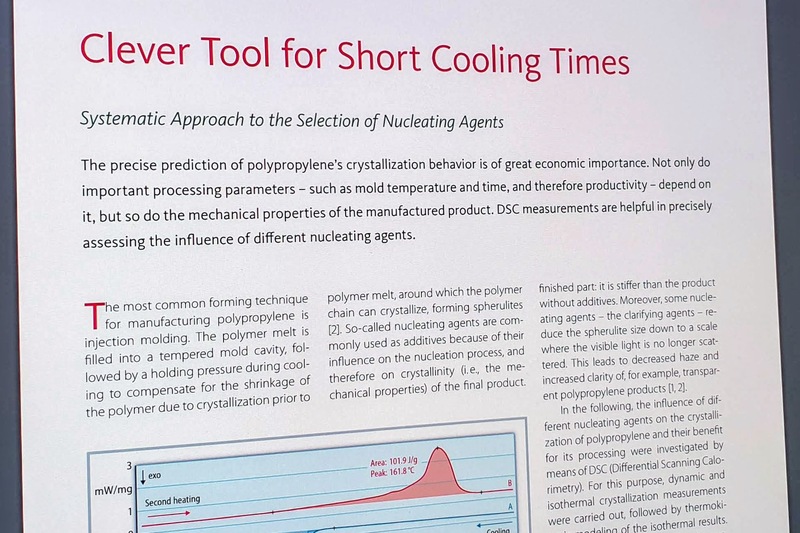 The precise prediction of polypropylene´s crystallization behavior is of great economic importance. Not only do important processing Parameters – such as mold temperature and time, and therefore productivity – depend on it, but so do the mechanical properties of the manufactured product. DSC measurements are helpful in precisely assessing the different of different nucleating agents.